“Be ignorant, empty, and aware. Everything is sacred. 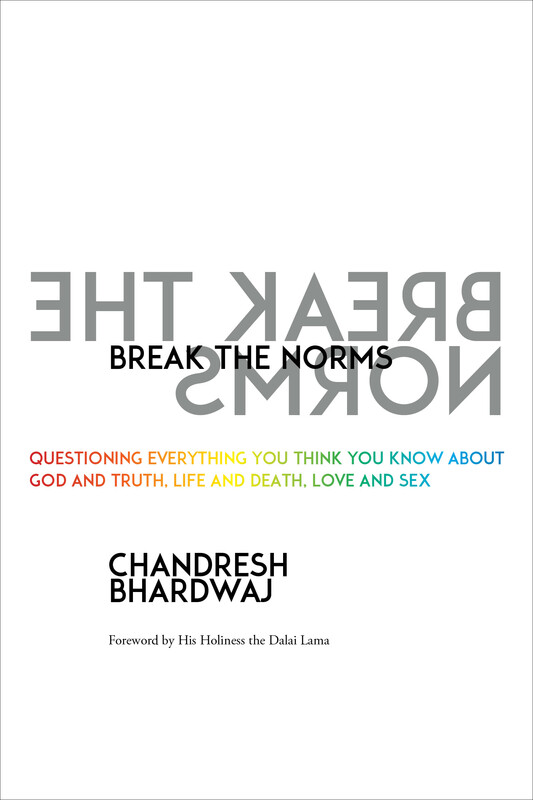 Rebelliousness is key.” These are the founding principles of Chandresh Bhardwaj’s Break The Norms movement—an emerging global initiative that has helped thousands of people break taboos and discover an authentic, personal form of spirituality. With Break the Norms, this provocative teacher offers a guide for overcoming our conditioned beliefs to find our own deepest truth. There are no “right answers” in spirituality, but asking the right questions can help us discover who we are and what we are becoming. “Authenticity is inherent each of our souls,” writes Chandresh. “When we start to be authentic, we start to get back in touch with our divine source.” Break the Norms is the first book from a compelling new teacher—and a clarion call to embrace our own spiritual authority.